Multan (Monday, April 31, 2018):- The directorate of National savings of Pakistan will hold a balloting draw of Prize bond Rs. 15000 dated: 02-04-2018 in the office of Multan savings. The Fifteen Thousand Prize bond latest draw will be held on Monday 02 April 2018 at Multan for announcing the winning lucky number for the Public. 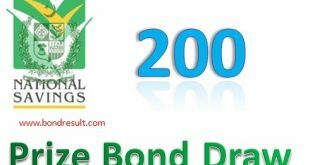 The 15000 Prize bond List April 2018 can be view and download on this page today having accurate result and on time. You can download Rs. 15000 Prize bond Draw #74 Full List Result 2nd April 2018 held at Multan city. You can check online Prize bond 15000 2018 full list online by savings.gov.pk and get the full detail of the draw for the 1st, 2nd and third winning bond category. Get Prize Bond Rs. 15000 Draw #74 Full List Result 02-04-2018 Multan All draw list online by savings.gov.pk online. Do you know that what is the technique that you may have more winning chances for your prize bond 15000 in the month of April 2018. Let’s talk! Here will be more chances that you may got more money in this game with some techniques. You may see that some prize bonds are old and some are freshly announced by state Bank of Pakistan in the public place to buy from directly SBP or the National savings office locally. The newly launched prize bonds are not included mostly in the recent draws and old ones are included in the all draws with difference of 3 to 4 hundred numbers. So you must try the old prizebond that have been issued before the one years to 7 years because they have more chances to win. But the more good way is that you must have serial wise bond that have more chances to win and get the great serial of numbers for you. But if you did not won prize in one draw then you must not fear and get dive in next draws because the chances are equally divided for each bond number and you will get the chance mostly from a serial number. This 15000 prize bond list April 2018 Multan Draw have very good prize having more attraction for the buyers in Pakistan. The first prize of Prize bond 15000 list April 2018 Multan draw is 03 Cror Rupee for only one lucky number and that is a big one amount of the draw and each one is wishing to win this game. The 2nd prize bond is One Cror Rupee that is for 03 Lucky winners and you may got it in your pocket only if luck is directed towards you. You may find the third prize category easily having prize amount of 185000 Pakistani rupee. 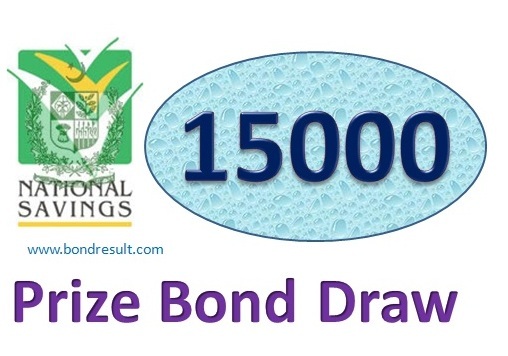 The Prize Bond List 15000 Draw Result 2018 Check Online on bondresult.com. That is very easy to you to see the result at this page. Simply match your own prize bond number and match it from this page and if you falls in any category then match the winning amount and that amount can be got from State bank of Pakistan by filling a simply winning prize form. The savings.gov.pk is the official blog sharing the 100% accurate draw results for you and these all are authentic to get from any dealer in Pakistan. 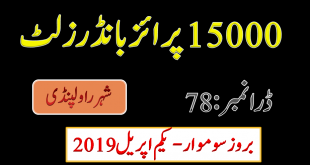 The big winning numbers draw Prize Bond List 15000 #74 Result 02 April, 2018 held at Multan city can be seen her at 9:00 am and full list of 15000 Prize bond Multan draw 2018 will be updated here at 5:00 pm on this page. So be patience and get the all 15000 Prize bond information and results by bondresult.com.